Another month…seriously people…another month has come and gone!! Another list of things that I’ve read, watched, cooked and done…as well as the fun that is to come! Without further ado, the things I was into in October! Anna Karenina by Leo Tolstoy – Eek – I hate to admit this, but I started out the month reading this book and now that it’s November…I confess I still haven’t finished it and I’ve moved on to other things completely. I got distracted by other things and had to leave Russia, Anna and her men behind for other things. Maybe I’ll get back to them…maybe I won’t. We’ll see. As you can tell, I’m very concerned. The Hobbit by J.R.R. Tolkien – This is where I got distracted, but oh what a wonderful distraction! I read The Lord of the Rings a long, long time ago…when the movies were out and it was a LONG book. I assumed since they’ve managed to make this book into three movies as well, it would be equally as long a book. Imagine my surprise when I went to find it in the book store and it was only 200 pages! 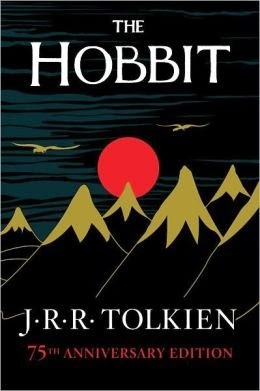 I spent a little over a week diving back into all things Middle Earth, reading about the adventures that Bilbo Baggins encounters when he joins Thorin Oakenshield’s company of dwarves as they travel to the Lonely Mountain to take back their kingdom from the dragon Smaug. I thoroughly enjoyed this book; just wish it hadn’t ended so soon! Dracula by Bram Stoker – Because it was nearing Halloween and I felt I needed to get into the spirit, plus – it was only $.99 on the Google Play store and you really can’t beat a deal like that! I must admit that as fascinated as I am by all things vampire, I had actually never read the novel that started it all! I’ve still got a little bit to go on this one, but so far it’s absolutely perfect – poor Jonathan Harker deceived into helping the mysterious Count Dracula secure a home at Carfax Manor and then being left to the mercy of Dracula’s brides while the Count escapes to London and wreaks havoc on everyone that Jonathan Harker knows and holds most dear. And man – could Renfield be more disturbing eating the flies…then the spiders…and then the birds! Yikes! This book is perfectly creepy without being terrifying and I can see why it spawned such a fascination with all things vampire – both man and monster in one. World War Z by Max Brooks – I still haven’t read this one and since I seem to be skipping around like crazy from one book to another, there is nothing to assure I’ll get to this one this month either! It’s on the tablet, so it will hang out until the time comes for me to crack it open! The Silmarillion by J.R.R. Tolkien – the precursor to The Hobbit (which is a precursor to the Lord of the Rings, because everything has a precursor apparently…) and a book I purchased when I bought my copy of The Hobbit. It’s sitting on my bedside table with the bookmark positioned on the first page. Once I finish Dracula…my book reading could go one of two ways: to this book or the other book waiting on my tablet…. The Adventures of Sherlock Holmes by Arthur Conan Doyle – Another classic that I’ve had on the tablet for a few months now and I think I’m about ready to get to. I’ve always enjoyed a good mystery and Sherlock Holmes is the original master of solving crimes. It’s definitely time to check out the books that have inspired the movies and TV show(s) that I enjoy so much now! Dracula – Only one episode of this show has premiered (episode two comes on it less than thirty minutes) but I’m hooked already! 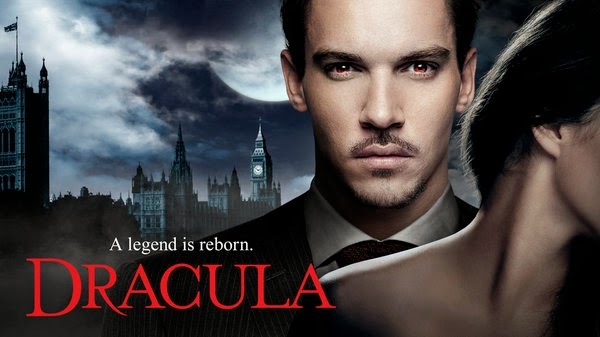 If there was ever any doubt; the show is about vampires…hello, THE vampire himself, Dracula. The story has been given a more modern spin, as Dracula has taken on the persona of American Alexander Grayson, an energy tycoon newly moved to London to look for technology to further his business by day, while by night he stalks the streets hunting down the members of the elite society The Order of the Dragon and exacts his revenge. And is it just his imagination or does Mina Murray look remarkably like his long lost love, who was burnt at the stake hundreds of years ago? Jonathan Rhys Meyers is pretty much brilliant in every role he plays (hello – go watch all four seasons of The Tudors now if you don’t believe me) and this one will be no different. I can’t wait to see how the season unfolds – this is favorite number two. Sherlock – Oh me, oh my…where has this show been? I should go ahead and let you know that I’m watching this on DVD; it isn’t something else that I actually watch on TV – but I will when the third “series” premieres in January. Yeah – it’s called a series, not a season…because it’s a British show and the Brits do things a little differently. I’d been told by several people that I needed to watch this version of Holmes and Watson, so I finally took the leap and I have to say that those people were so right! Benedict Cumberbatch’s Holmes is a complete oddball who thrives on solving crimes and grows despondent when things get too quiet; calling the calm and quiet night “hateful” while Martin Freeman’s Watson is an Army doctor home from Afghanistan who has seen a little too much bad but is interested in seeing just a little more and tries his best to steer Holmes where morality is concerned. Together they make a crack team and since the show pulls it’s material from the books, you can bet the writing is incredible. 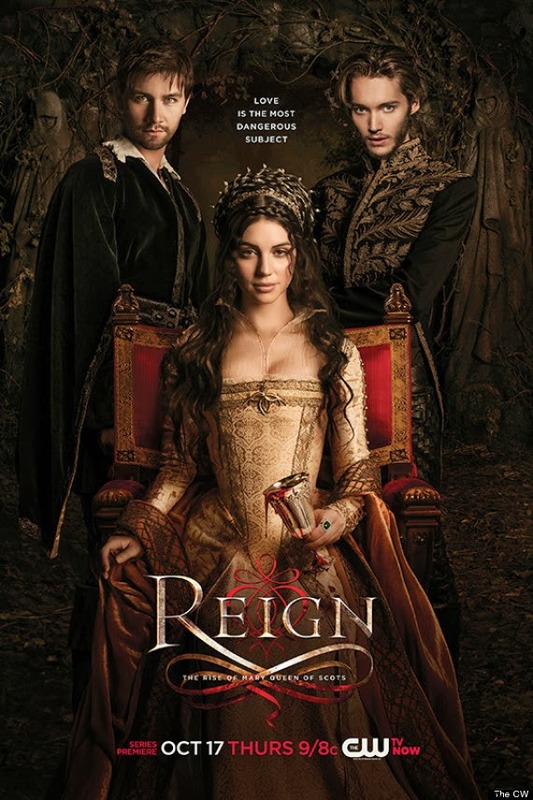 Reign – This show came out of nowhere! It was not on my radar and I had no intention of watching it, but then as I skimmed my Entertainment Weekly a few weeks back, it was THE show to watch for the week and so out of curiosity I decided to DVR it. Oh what a mistake – because I’m thoroughly engrossed in it now! The show follows the life of Mary, Queen of Scots as she takes her place in the French court while waiting to marry Prince Francis and cement the alliance between France and Scotland. I referenced the Tudors above and this is almost like The Tudors-lite; I love this historical factor (although I’m not sure how historical some of the costumes are – even if they are amazing) and so far I’ve been really impressed with the acting and the story lines. So, I’ll keep this one in rotation…because…it’s favorite number three, it came out of nowhere and I’ve gotten Lindsey hooked too! Fascinating…and also historical. I love it. The Hobbit – I loved the Lord of the Rings trilogy when it came out ten years ago (yes – ten years, it has been THAT long) and so I should have been just as interested in this but I didn’t see it when it came out in theaters. I noticed earlier this month that it was coming on one Saturday night and since I had nothing else to do, I decided why not watch an almost 3 hour movie? I wasn’t disappointed; the movie was great and now I can’t wait for part two to come out in December! 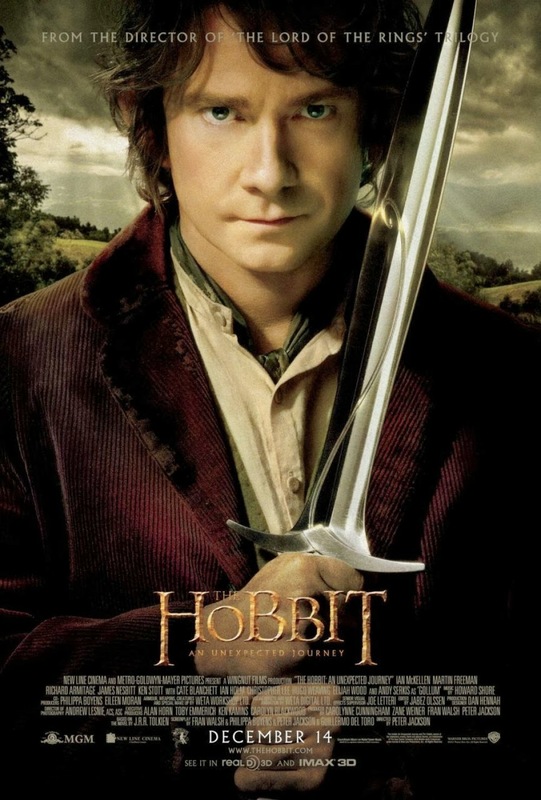 The movie (like the book reference above) follows the journey Bilbo Baggins goes on when he is recruited to be the “burglar” for the company of dwarves traveling to the Lonely Mountain. Along the way, they face off against orcs, trolls and goblins, visit with elves and fly on eagles…and that’s just part one. The gorgeous scenery also reminds me how much I’d love to visit New Zealand! The Crucible – Hello blast from the past! I randomly saw that this movie was coming on HBO a couple weeks ago and I recorded it. I wasn’t 100% sure what it was about; I thought the Salem witch trials and I was right, but it was interesting. When the movie first started I really wasn’t very interested and wasn’t sure how I was going to sit through two hours of movie…but then it started drawing me in. It’s amazing what mass hysteria can cause when people don’t know any better. Not to mention all the silly girls in Salem (at least, as this movie portrayed them) who just went around pointing their fingers and crying “witch” in order to clear their own names. I’d like to say that the world has evolved and we don’t act so crazy about things we don’t understand…but I don’t know if that’s the truth. Fun fact: Daniel Day-Lewis is in this movie and he’s a method actor. I read on IMDB that he didn’t bathe the whole time they filmed so that he could feel sufficiently in character for the role. Um – gross. I guess it works though…he’s won how many Oscars? Soundtracks – I’ve listened to several soundtracks this month, most prominent being music from both The Hobbit and Sherlock. That’s all instrumental music, of course and I’m completely good with that – I love instrumental music probably a little bit more than the average person. Roar by Katy Perry – Mostly because if I’m being honest, sometimes we all just need that one song that makes us feel a little bit stronger than we usually feel. I know I’ve got a list of people I’d like to let hear me “roar” and if given the chance…well, they might find out about it! Ha-ha! Until then I’ll keep listening to the song and imagining how that would play out in my head. Don’t Deserve You by Plumb – This song was played on the Vampire Diaries one night and I had to hunt it out because I absolutely fell in love with it. While I realize the song was written and is sang to someone she is in love with, as I listen to this song I’m compelled by how much it sounds like Christ’s love for us. While there are a couple lines that aren’t quite in line with that, for the most part – it is completely descriptive of the undeserved, unfailing love that Christ has for us. And for that reason, I absolutely love this song. Check it out! I made pumpkin pasta – and it was amazing! I was so hesitant because I wasn’t sure how I’d feel about it and the last thing I wanted for supper was pasta mixed with sauce that tasted like I’d poured a pumpkin spice latte over it. I was so pleasantly surprised and I’ll most definitely make it again! It is delicious and so appropriate for Autumn eats! Soup – I love soup of all kinds and we are 100% in the midst of soup season! Potato, chicken noodle, taco, black bean, chicken enchilada…I could just keep going on and on. 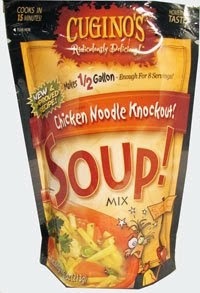 I’ve said it before and I’ll say it again, I love soup and could live on it! The best part is that I’ve found the best “easy” soup ever! While I’m a huge fan of all things homemade, I also love being able to make something easy after a long day and Cugino’s soups are just that – bag soups that taste absolutely delicious and homemade. So – I’m thrilled that soup season is here – bring on the bowls and spoons! So. Delicious. I need some of this right now! 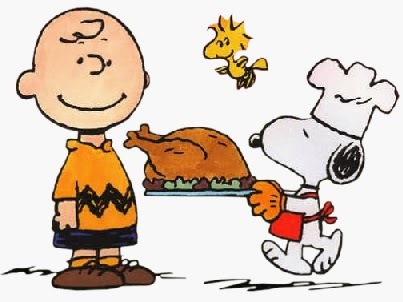 Thanksgiving – Hello! Who isn’t looking forward to this?? I’m leaving on a jet plane at 5 AM on Wednesday the 27th for almost 5 whole days in Virginia with my wonderful family as well as friends old and new and I cannot wait! There is nothing better than time with family, seeing friends, eating great food and being at home! Because yes – I may live in MS right now, but home for me is VA – because that is where my heart truly is. Holiday movie season – The holiday movies start next weekend! Thor: The Dark World opens November 8th and after that, the hits just keep coming! Disney’s newest animated feature, Frozen comes out in November and the second part of the The Hunger Games – Catching Fire also opens in November. I haven’t had many movies to watch in the lull between summer movie season and holiday movie season…but that’s all about to change and I can’t wait! Bring on the movies!